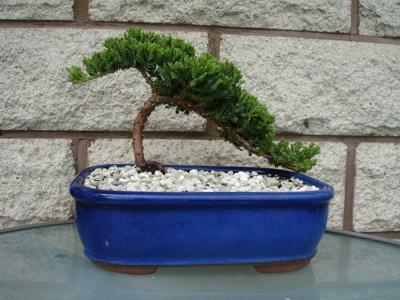 This is my first ever Bonsai, i have wanted to do it since i was a teenager, i love them so much, and i came across your website and decided its now or never, but have found it really hard to get the requirements to do this here in Christchurch, New Zealand, but i followed your 'Make a Bonsai guide' and this is what i have made but im thinking i have left to much foiliage on it not sure can you help? @ think first what is the style best suits ur tree? That looks great! 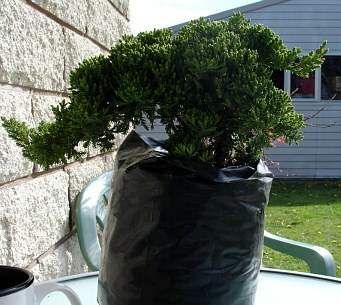 I would leave it as it is for a while, let it develop and grow into the pot. It is your style and it will more than likely change as the tree grows. Keep it up.